Dr. Fahad Mirza will be coming live on 19 April, 2018 Thursday at 5:00 PM from Dr. Ziauddin Hospital’s Official Facebook page. 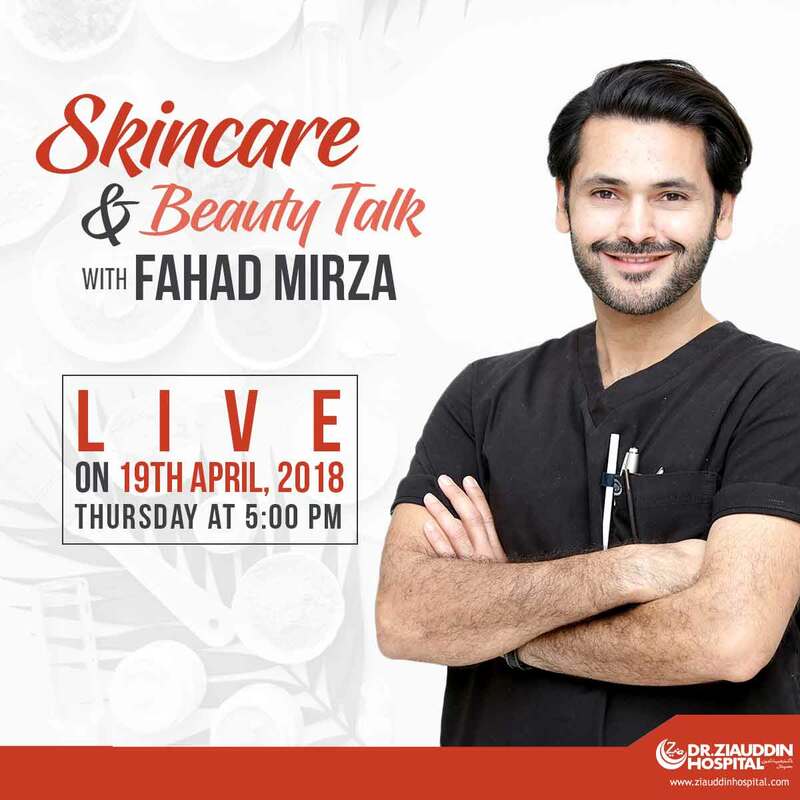 He will be addressing topics related to skincare, aging skin, cosmetic and reconstructive surgery and much more. Save the date!